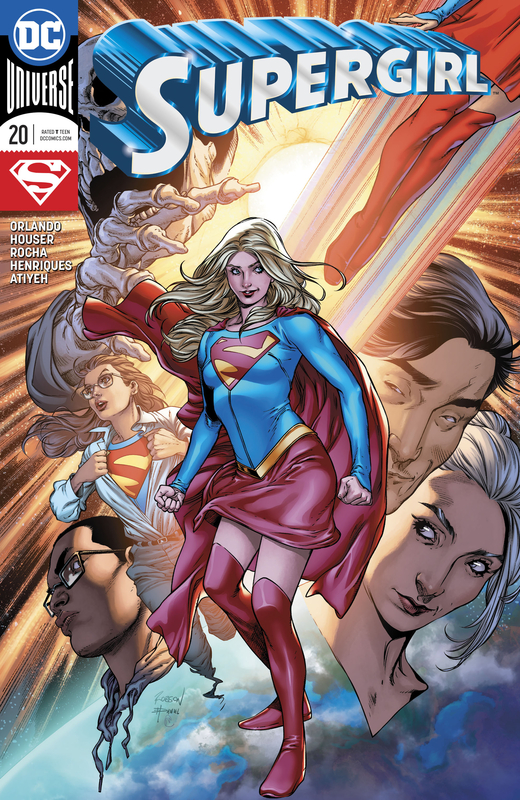 Supergirl, Cameron Chase, Ben Rubel and others have plan to expose the D.E.O., Director Bones and Mokkari's insidious intentions. While the Last Daughter of Krypton distracts Bones and Mokkari during a battle with the Viking Judge Turid Goldenaxe, Chase infiltrates the Blade to save Shay Veritas while insight steals data thanks to nanotech in his blood. Said info is then sent to Ben, who puts it on CatCo, the Daily Planet, the Gotham Gazette and other news outlets. Meanwhile Goldenaxe disappears with other allies while being shamed for not honoring her word. Bones and Mokkari try unsuccessfully to escape Supergirl. They didn't realize that you don't mess with Kara Zor-El. The Danvers family, including Kara have dinner with Ben Rubel in the aftermath of the D.E.O. Story coming to light. Ben feels like he is a part of something that's been missing from his life. Yet, he must do something else before the day is over. He helps Supergirl record a message for the people of National City. She understands she isn't perfect. Nobody is. She lost the public's trust. However, she plan to regain it because she believes in them and the entire population of Earth. Together they can move mountains and maybe one day work together to bring peace to the planet. Story - 4: It's a bit rushed in certain points, and it feels like three or four issues are being crammed into one. However, it's a fitting end to the story and the series. This book, like its New 52 predecessor, began on shaky ground. Yet, It's been a fun ride throughout the entire run of both of those series. I'd love to see more of Kara and, hopefully, see her grow into adulthood. Perhaps we will see that in future Superbooks. Only time will tell. Until then, I'll bid Kara Zor-El a fond "See you next time." May Rao smile upon you. Art - 5: The art is beautifully drawn, a perfect complement to the story. I loved what I saw in this book. More Robson Rocha please, DC. Cover Art - 4: The title and DC logos really bust the chops in this image by blocking much of what the art is trying to show readers. If they released a textless version in stores with a small title and issue number somewhere in the lower corners, perhaps it would have been better.